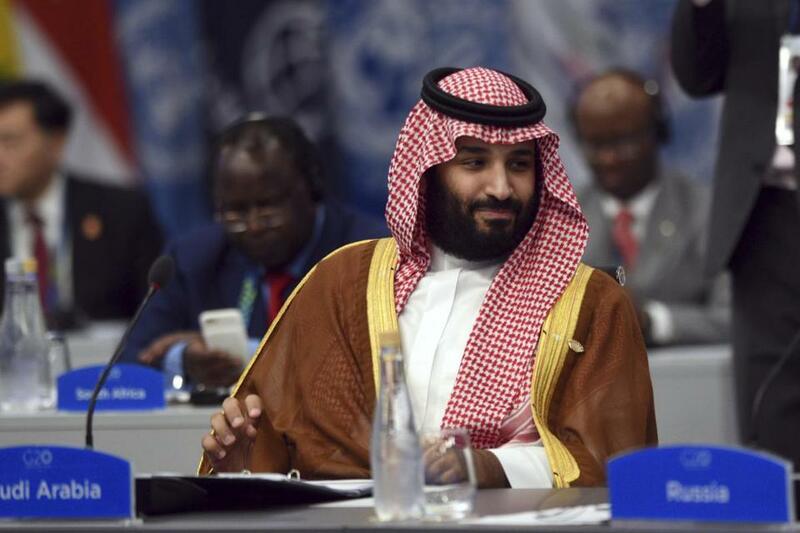 Saudi Arabia&apos;s Crown Prince Mohammed bin Salman continues to face pressure amid the fallout from the killing of Washington Post columnist Jamal Khashoggi. Turkish officials, who say the slaying could not have been conducted without the prince’s knowledge and approval, is seeking the arrest of two of his close aides, Major General Ahmad al-Assiri and Saud el-Qahtani. ISTANBUL — Istanbul’s top prosecutor on Wednesday filed arrest warrants for two senior Saudi officials who are close to the Saudi crown prince, accusing them of masterminding the killing of the dissident Jamal Khashoggi, according to a senior Turkish official familiar with the investigation and state-run media. The two Saudis, Major General Ahmad al-Assiri and Saud el-Qahtani, are both close aides of Crown Prince Mohammed bin Salman, the de facto ruler of the kingdom and designated heir to the throne, and Western and Turkish officials have said that Khashoggi’s killing could not have been conducted without the prince’s knowledge and approval. Khashoggi, a Saudi citizen who lived in the United States and wrote opinion columns for The Washington Post, was killed and his body dismembered inside the Saudi consulate in Istanbul on Oct. 2. The killing has prompted international outrage over the kingdom’s tactics, and the top United Nations human rights official repeated her call for an international investigation on Wednesday. The Turkish official, speaking on condition of anonymity according to the protocol of his office, said the arrest warrants were filed after Turkey concluded that the Saudis would not take any formal action against the men. The Saudis have detained as many as 18 people in connection with Khashoggi’s death, according to Saudi media reports, but al-Assiri and el-Qahtani are not among them. Turkish officials have steadily leaked information to the media throughout the investigation as a way of maintaining pressure on Saudi authorities without causing a diplomatic break in relations. While the arrest warrants will help Turkey keep the case in the public eye, officials in Riyadh are unlikely to turn the two suspects over to the Turks. Al-Assiri, who previously served as the spokesman for the Saudi-led military intervention in Yemen, is a high-ranking adviser to Mohammed, and he would have had both access to the prince and the authority to deploy lower-ranking personnel. El-Qahtani, like al-Assiri, is a close adviser to the prince and is among those targeted by the United States for sanctions in response to the killing of Khashoggi. When the leader of the hit team was recorded by Turkish intelligence saying “tell your boss” that the mission was complete, he was believed to have been communicating with el-Qahtani. A bipartisan group of US senators said on Tuesday that a classified briefing by the CIA director, Gina Haspel, had only solidified their belief that Mohammed had ordered the killing of Khashoggi, 59. Saudi authorities initially denied that Khashoggi, a critic of the kingdom under Mohammed, had been harmed in the consulate. After issuing several different accounts, the Saudis acknowledged that he had been killed after what they described as a botched attempt to force him to return to Saudi Arabia. The official said that sending the suspects to Turkey would allow it more fully to investigate the case, and he reiterated Turkey’s frustration with what it says is a lack of cooperation from Saudi Arabia. The Saudis have yet to say what happened to Khashoggi’s remains or who ordered and organized his killing, or to identify the “local collaborator” who Saudi officials have said helped dispose of the body.